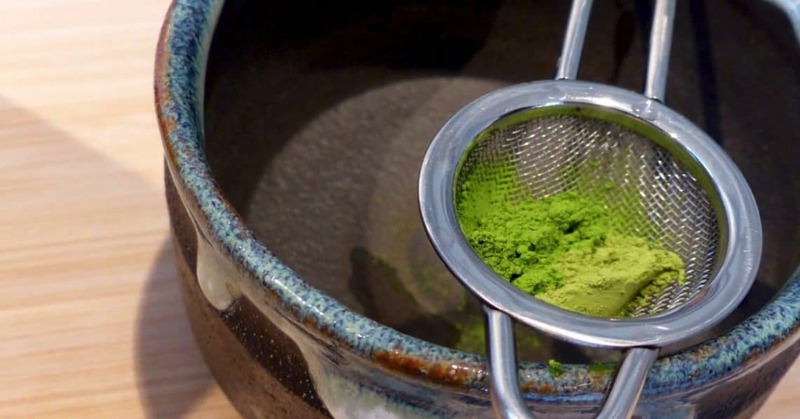 This green tea powder coming from Japan is the new sensation. Used to make a healthy green tea during ancient times in Japan, this super food will turn any of your recipes into a beautiful jade green and provide many powerful benefits. It is also the perfect coffee alternative to add to your morning routine. Star of the Japanese tea ceremony, matcha has been used in the Land of the Rising Sun for thousands of years. 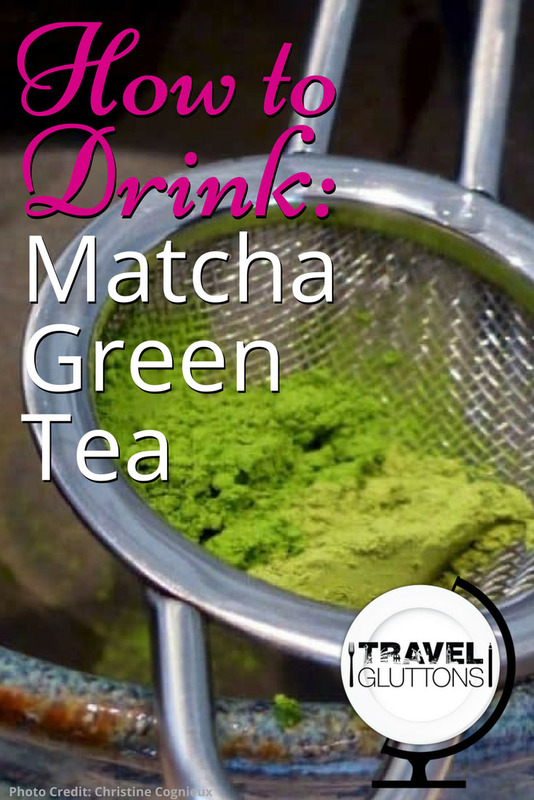 In Japanese, ma means powder and cha means tea—making matcha a tea powder. 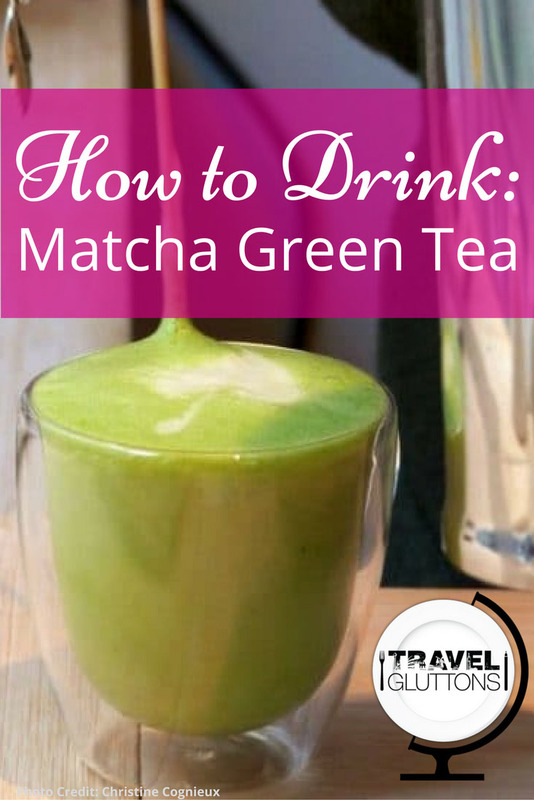 ​What is matcha fact: Matcha tea is the only tea to be diluted in water rather than infused. Starting in the 14th century, this precious tea powder was obtained by crushing the tea leaves in between two stones. The production was so small, it was typically reserved for royalty, priests, samurai, and wealthy merchants. In the 17th and 19th centuries, with new cultivation and improved production techniques, the general Japanese population had access to this powerful and healthy green tea. Nowadays, matcha’s popularity is gaining new advocates and fans all over the world as they find new ways to unveil its centuries-old secrets. What is Matcha? Super Healthy, That’s What! Matcha is pure, natural healthy goodness. It comes from the same tea plant as most other teas but the difference resides in the way the matcha tea leaves are shade grown, harvested, and processed. The naturally ground powder is high in vitamines (A and C), fibers, chlorophyll, antioxidants, and amino acid (Umami). It prevents diseases, improves mood and concentration, and has anti-aging effects. What is Matcha Tea? Super Easy to Make. First, warm up your bowl with hot water as well as your bamboo whisk (for about a minute), so it doesn’t break. Put two bamboo spoonfuls (or more according to taste) of matcha into the warm bowl. Add just a small amount of water and make a smooth paste using the bamboo whisk. This step will avoid any lumps. Add 50-70 ml of hot water (70-80 degrees Celsius) to the bowl. Never pour boiling water over tea. It will bring out the bitterness. Whisk everything for 20 seconds in a fast ‘W’ or ‘M’ movement to aerate the tea, creating a nice foam on top. The proper way to drink your matcha tea—present the front of the bowl, turn three times, and drink up in three long sips! Matcha Tip: Smooth and delicate, the flavour of matcha will jazz up any recipe. This grassy, velvety, slightly bitter taste goes well with almost everything, from smoothies, to risotto, salad dressing, and even macarons. 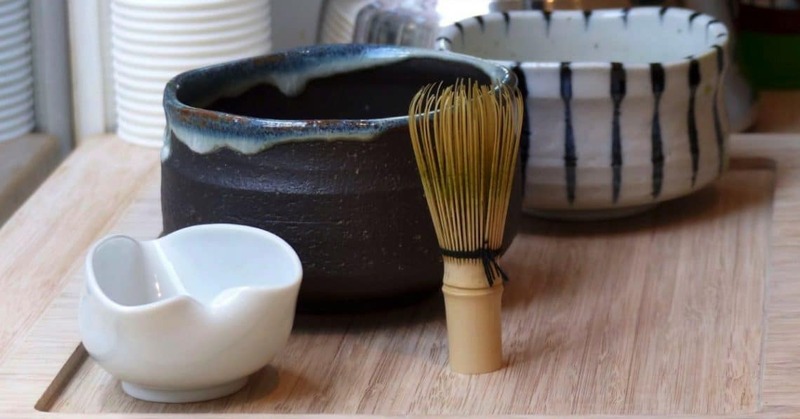 In The Hague, Isshin is a shop that sells authentic Japanese teas and accessories. Even if you were still asking “what is matcha” just this morning, you will be welcome here. The owner, a Japanese lady, is very knowledgeable. You can follow a tea ceremony to learn how to properly prepare this miracle tea. Hug the Tea! in the center of The Hague is also a lovely option for a delicious matcha latte. The matcha cake and matcha macarons are incredible. You can also find quality Japanese teas and everything you need to make tea. 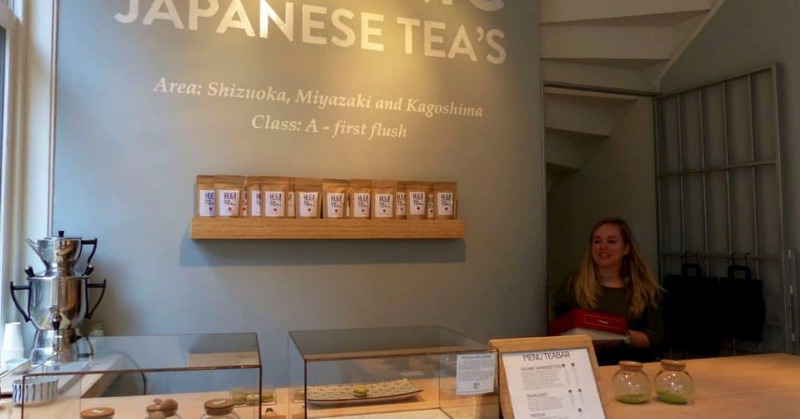 Claire and Lisa, two Dutch sisters, started the small tea bar and shop in 2015 to share their passion for Japanese teas. 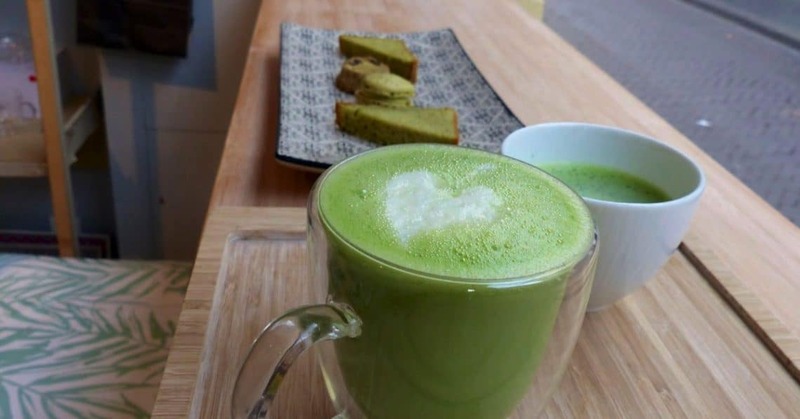 In Paris, Café Kitsuné serves a delicious matcha latte. 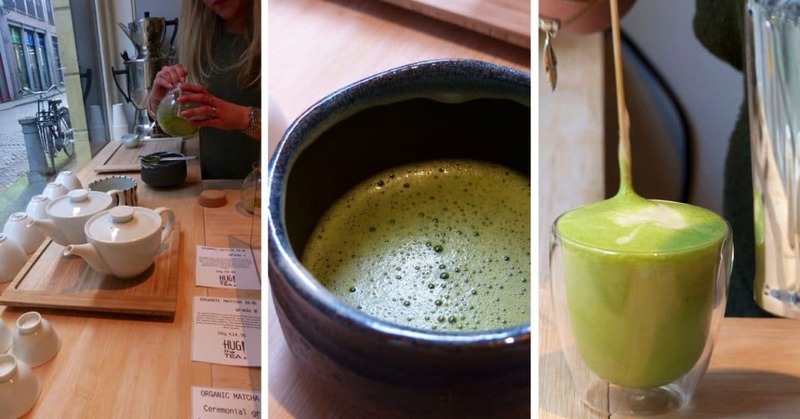 Umami is the first Matcha café in France. Got a craving for matcha ice cream? Try Tsujiri, Tombo Poké, or the Matcha Bar in London, England. For a unique matcha yogurt, Nada Tea and Coffee House in Chicago, Illinois is your place. Ippodo Tea Co. in New York City, NY, serves and sells authentic matcha teas from Kyoto. Are you ready to fall for this super tea? If you are still doubting, watch this video from Eater to take your matcha knowledge from “what is matcha?” to master level. What is matcha good for? We would love to hear the ways you use the green stuff! Christine is a life enthusiast, attracted to happiness, creativity and beauty in everything. It is not because she is French that she loves Fashion but she does. Photographing her food is becoming a habit of hers! 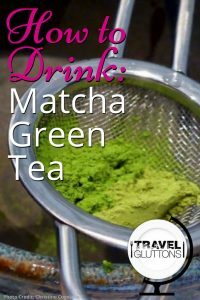 2 Responses to "How To Drink: Matcha Green Tea"
You can ofcourse also buy authentic matcha tea online, the best and most desired perfectures are kyoto, nishio city and mie. Matcha from these regions can be purchased online but as you noted it goes degrade quickly so you should aim to purchase when its harvest time, around May.